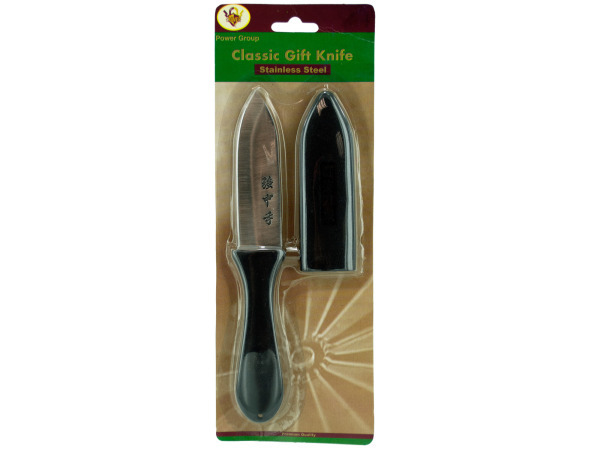 Stainless steel knife with plastic handle. Comes with a plastic cover. Knife is 7" long from end to end.